Everything stops for tea. Or so the song says. Afternoon tea is inherently woven into the fabric of British culture – after all, we dedicate an entire week to it. Where else can one enjoy a cuppa with an elaborate spread of sweet cream scones, savoury sarnies and perhaps even a glass of bubbly? 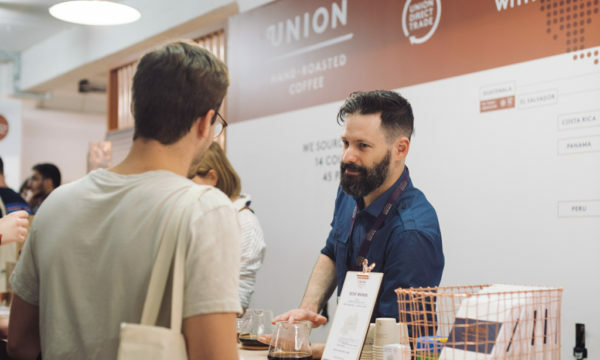 Our round-up includes a little something for everyone, from the traditionalist to the non-conformist. If you have a serious hankering for sweet things, Maitre Choux, Kensington’s go-to spot for eclairs, has teamed up with tea specialists Lalani & Co to create a bespoke menu for dessert purists. Pairings such as Délice Rose à La Framboise with the Himalayan Bouquet 2016, Caramel à La Bretonne with Kyoto Oolong Sanbancha Tea 2016 or the Trésor à La Noisette with the Gold Leaf Black Autumn Tea 2016 are combined to enhance, delight and surprise your taste buds while enjoying the complex flavours of artisan tea. Available everyday from 12pm until 6pm at Blakes Hotel, it is priced at £12.75 per person. 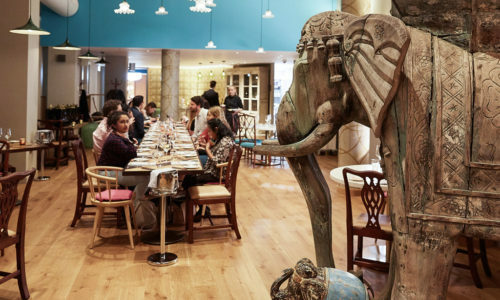 To book a table at the Maitre Choux and Lalani & Co Tea and Eclairs event at Blakes Hotel London, 33 Roland Gardens Kensington London SW7 3PF, call 020 7370 6701 or visit the website here. For a sure-fire English tea experience, The Connaught is an ideal choice. 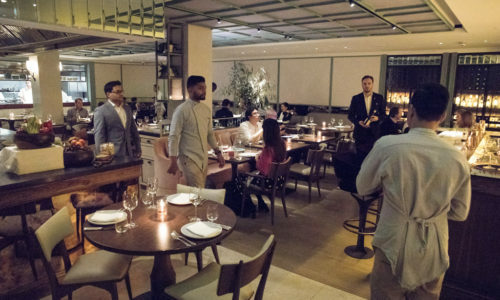 The setting is sophisticated and the carefully planned menu even more so. 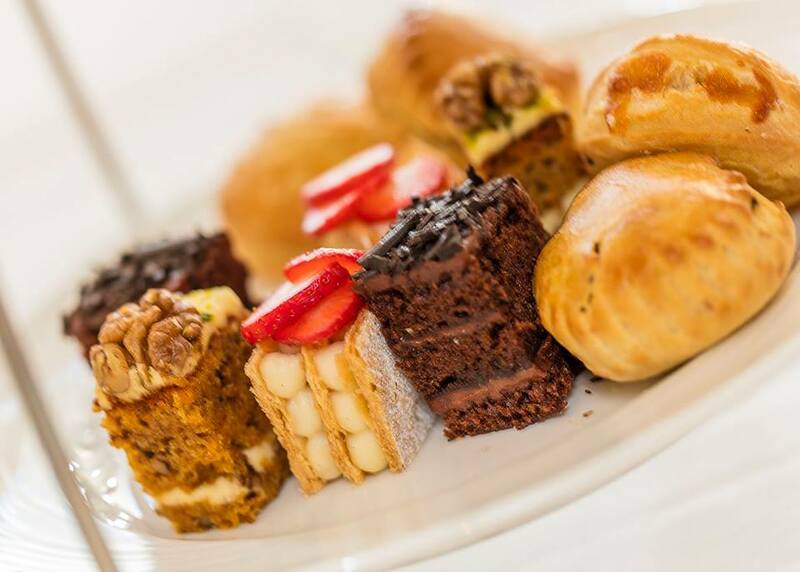 Guests can choose between a wide selection of finger sandwiches like smoked salmon, ham and aged cheese, coronation chicken and more, along with sweet treats like scones, tarts, strawberry eclairs and chocolate pastries and a selection of teas. 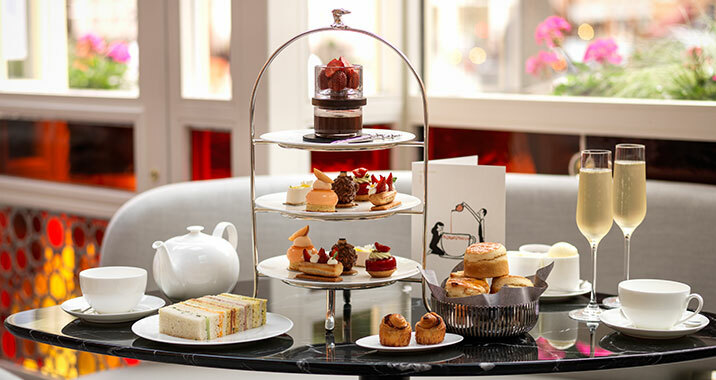 Priced at £65 per person, including a glass of Laurent-Perrier, Rose Champagne, The Connaught’s is touted to be one of the finest afternoon teas in the city. 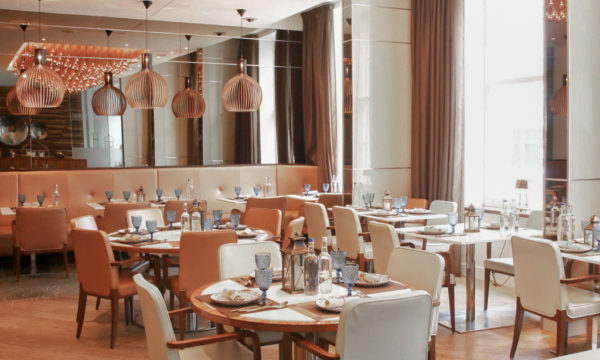 To book a table at The Connaught, Carlos Place Mayfair London W1K 2AL, call 020 7499 7070 or visit the website here. If you want to stop and smell the roses, Bluebird – the Chelsea neighbourhood institution – is offering an all-pink afternoon tea. 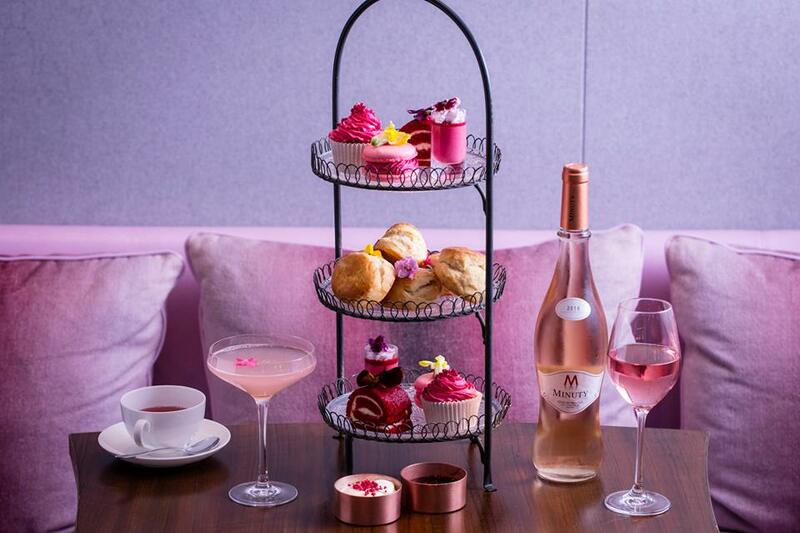 Red velvet rolls, pink macaroons, scones, cupcakes, sandwiches and, of course, a choice between a glass of Château Minuty rosé or a Lychee Rose Martini is all priced at £22.50, with part of the proceeds donated to the Pink Ribbon Foundation. 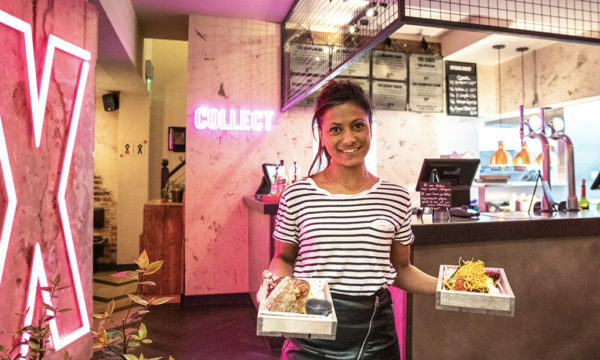 To round off a successful afternoon, you can even walk across the street to French Sole, where prizes will be offered to pink tea participants. La vie en rose! 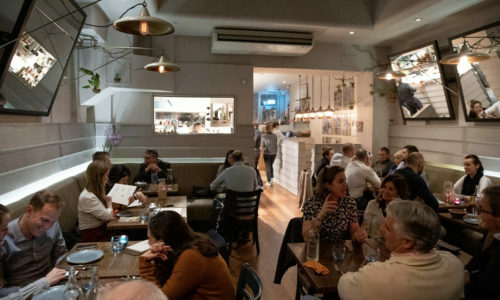 To book a table at Bluebird, 350 King’s Rd Chelsea London SW3 5UU, call 020 7559 1000 or visit the website here. Because afternoon tea feels so inherently British, it is sometimes interesting to note its interpretation across the world. 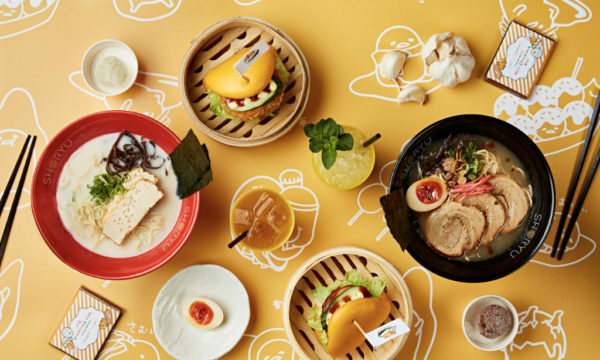 Sosharu, an Izakaya restaurant, renders theirs with Japanese classics such as tuna temaki, savoury monaka (traditional Japanese wafers) and sweeter offerings such as matcha iced fingers, chocolate sesame praline petite gateau with miso caramel and, of course, a wide array of tea including sencha and hojicha. The tea is priced at £35 with a cocktail included. 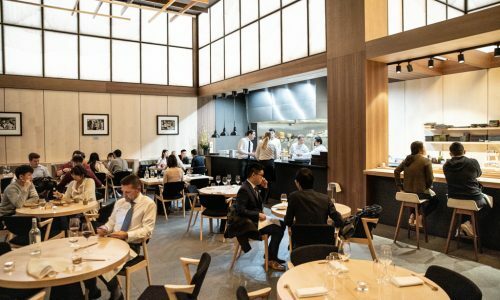 To book a table at Sosharu, 64 Turnmill Street London EC1M 5RR, call 020 3805 2304 or visit the website here. For as little as £17 per person, you can treat yourself to a non-traditional afternoon tea that checks off both boxes. 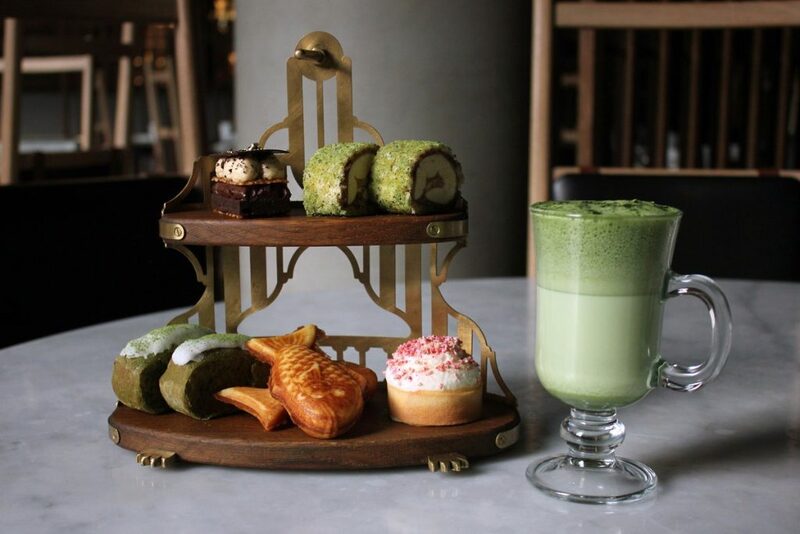 The restaurant infuses a little bit of America into their English afternoon tea setting with an impressive selection of bite-size treats like Southern fried chicken & coleslaw Slider, Lobster & Crayfish Slider, mini salted caramel doughnuts, tiny fries and vanilla milkshakes. It also does not require you to wear your Sunday best so this one is for those who keep it casual. 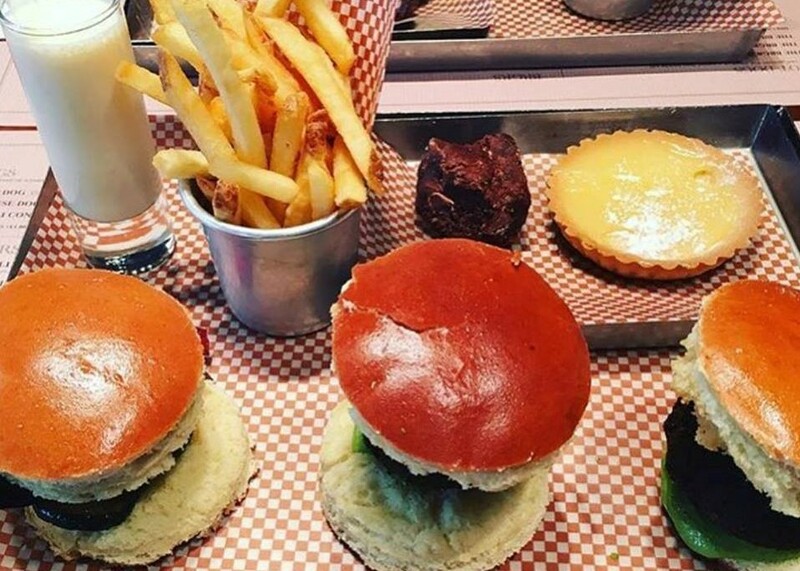 To book a table at BRGR & Co, 187 Wardour Street London W1F 8ZB, call 020 7920 6480 or visit the website here. As an extra serving, this spot makes it to the list as a bonus because who would not like to sip tea while overlooking Brighton’s seafront? Plan your escape from the city to the Brighton’s pier for a quick getaway with an essential stop for tea. The hotel offers a classical selection of the tea service with freshly baked goods including cakes and scones along with sandwiches and tea all for £15.95. 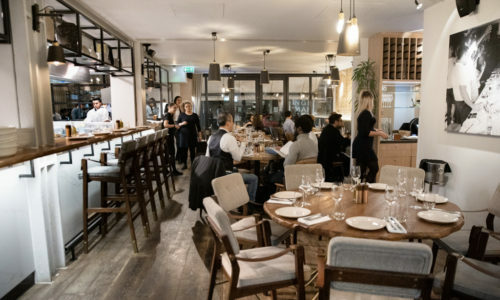 To book a table at The Jetty at Brighton Harbour Hotel, 64 King’s Rd Brighton East Sussex BN1 1NA, call 01273 323221 or visit the website here.